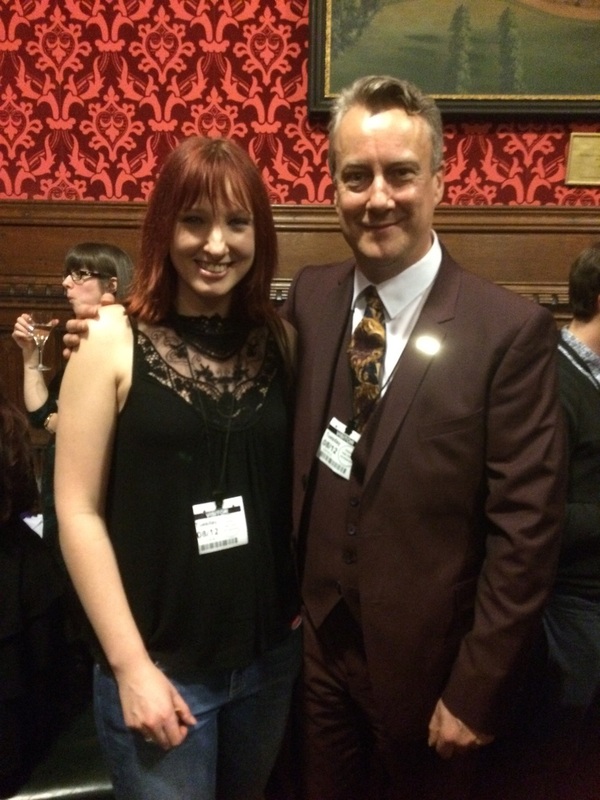 On Tuesday I was invited by the Musician's Union to attend the Performers Alliance APPG Christmas party at the House of Commons. It was a joint event hosted by Kerry McCarthy MP, The Musician's Union, Equity and The Writers Guild to support the arts and generally catch up on how things are in our separate industries. Our job there was threefold: 1) to help raise awareness of grass roots music venues, which have suffered horrendously this year from various closures across the country, 2) to raise awareness of the need for music education and how access to all is vitally important for our children, and 3) to protect the BBC which is under going a charter review. The event went well, and I had a chance to chat to various MP's and members of the House of Lords about some of these issues and other aspects of my career. I hope they took some of our 'hands on' experience on board......you never know with these things! On a lighter note it was also a chance to meet some very interesting people from other aspects of the arts. Including some very well known faces such as Stephen Tomkinson (in the photo below, so tall, so handsome....yes yes, one of my teenage crushes......I confess.....), Andy Parsons (in the photo above, I didn't recognise him and went in with the cool line 'have I worked with you'? *face palm*) and Lindsey Coulson (aka Carol Jackson from Eastenders) who I managed to not embarrass myself in front of and have a fairly rational conversation about Sappho with.